Your little champ will stand apart from the crowd as he wears this classy set. 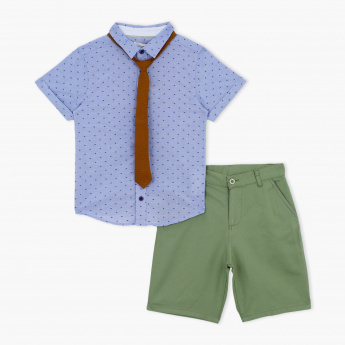 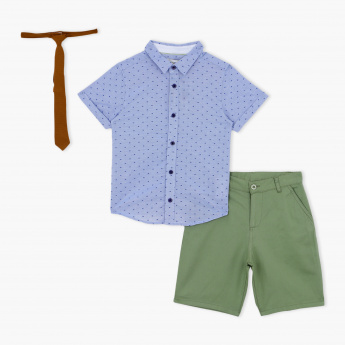 The printed t-shirt has short sleeves for smart looks and is beautifully teamed with a contrasting tie to lend your kid a charming look. 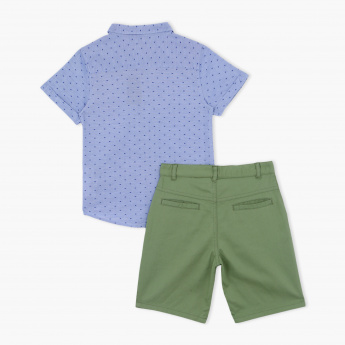 The set also includes shorts that have a button closure for a great fit.